If there's been one underlying theme at this week's Digital Content NewFronts presentations, it's that advertisers desperately want to reach millennials. While traditional news outlets like Bloomberg and Condé Nast Entertainment pitch advertisers on new video products that target younger readers, PopSugar is doubling down on programming that boosts millennials' moods. "The underlying motivation is that [when] people come to PopSugar, it's not for celebrity news, which it might have been in 2007 or 2008," president David Grant told Adweek before tonight's presentation. "Now, it is about learning how to activate your life to make yourself happier and live better." To do that, PopSugar is beefing up on lifestyle, fitness and health, travel, and food content. One new vertical called "Find Your Happy"—which focuses on topics millennials can relate to like relationships, how-to, DIY and weddings—has already signed on Hilton and Chobani as sponsors. In terms of original programming, PopSugar has six new series—along with one returning series—this year. 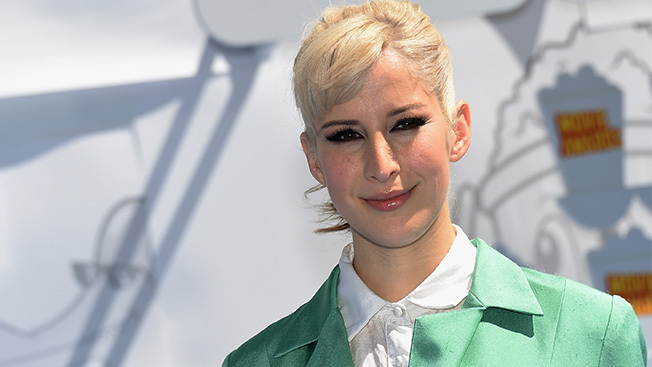 Rachel Antonoff, a fashion designer and the sister of Bleachers' singer Jack Antonoff, stars in Knock Knock. In each episode, Antonoff will visit interesting designers and celebrities in their homes. "It's not about the voyeurism of seeing over-the-top stuff—it's people that we know that our audience is very interested in," Grant told Adweek. Seriously Distracted: Popsugar is bringing back the scripted comedy series for a second year, this time with Nicole Richie as LeGrande PR's boss. PopSugar is again working with Broadway Video's online network Above Average. All My Friends Are Getting Married: Also produced by Above Average, actress Mae Whitman plays a 20-something named Chloe who has to navigate six friends' bachelorette parties during six weekends. Eat, Sleep, Repeat with Eden Grinshpan: In this 10-part series produced by Part 2 Pictures, food personality Eden Grinshpan gets dropped off in a city for 24 hours and eats dishes recommended by locals. Per Grant, it's a new millennial-geared spin on Anthony Bourdain's famous series The Traveler. Hannahgram: Hannah Bronfman, an entrepreneur and co-founder of the mobile beauty booking app Beautified, will talk about fashion and beauty trends—and her life. Ingrid Dishes: After working with Popsugar on a cooking series last year, YouTube star Ingrid Nilsen is expanding the focus of her show. She will "have conversations with people from the world of influence in style, fashion and music" while cooking a meal. Upstaged: Produced with Lionsgate, the home-staging program features New York interior designer Cheryl Eisen, who will show viewers how to overhaul and upgrade their homes. PopSugar also has a slate of weekly and daily shows planned, including a weekly program called PopSugar Beauty Junkie with beauty reporter and host Kirbie Johnson. Advertisers include Benefit and Pantene. There's also a Facebook video series, PopSugar Rush, in which the publisher will post up to eight weekly news clips. According to Grant, several of the videos have already hit 1 million views, proving that the social platform is a viable video player.